Today I am starting what I am calling the Live-7 Challenge. The Live-7 Challenge is a week of eating only live food (aka fruits, vegetables, nuts). 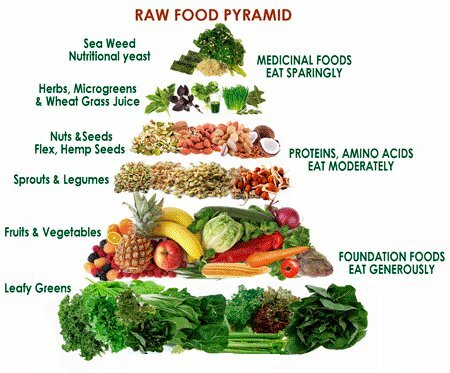 I was originally going to call it the Raw-7 Challenge but I have noticed some confusion in the past when discussing “raw” eating: some think it involves eating things such as raw hamburger (which it does not). So I think the Live-7 Challenge is a more appropriate name and it also goes along with all the other “something challenges” that people tend to be attracted to lately. Back in 2009 I had visited the doctor and was told they wanted to place me on some cholesterol and blood pressure meds because I was on the borderline based on my blood work and I was overweight. I told my doctor I was going to try and tackle the issues on my own and that I would come back in a few months and see if it had made any improvements. At the same time, my wife’s mother was dealing with life threatening illness. Needless to say I became highly motivated to do something about my health. I set out to find ways of “getting healthy” quickly and stumbled across a few web sites that were talking about “Raw Food” as an option. At the time I was confused by what that really meant so I began to research. Within a few hours I had discovered numerous articles, videos, and recipes and I began my raw food journey. I stumbled across David Wolfe, Jenna Norwood, Ani Pho, and others. Within a couple of days of eating raw I started tracking my weight and blood pressure. It was immediately apparent that this raw thing was having dramatic effects. My blood pressure dropped by 30 points and my weight by 20 in the first two weeks. I continued tracking my statistics and for the next few months my BP remained low and my weight kept coming off: 20 lbs, 30lbs, 35lbs in 6 months. At this point I began to transition toward vegetarian (not super strict) with raw one meal per day. I re-visited my doctor six months in and had her run my blood work again. This time around everything (blood pressure, cholesterol, triglycerides, sugars, etc..) was within normal ranges and my weight was close to normal. I kept the BP and weight off for almost two years. Two years, ten months later however, I had gained back 30 lbs, and my BP was back high again. Over the years since I have carried the extra weight and blood pressure. Time for a change again, so here we are, time to get my stuff together again. I am committing to just 7 days of 100% raw meals as well as walking every day. I want to see if the first time around was just some sort of strange coincidence. So far so good, I just measured the lowest BP in months on just day 2! Jenna Norwood Documentary: Supercharge Me!